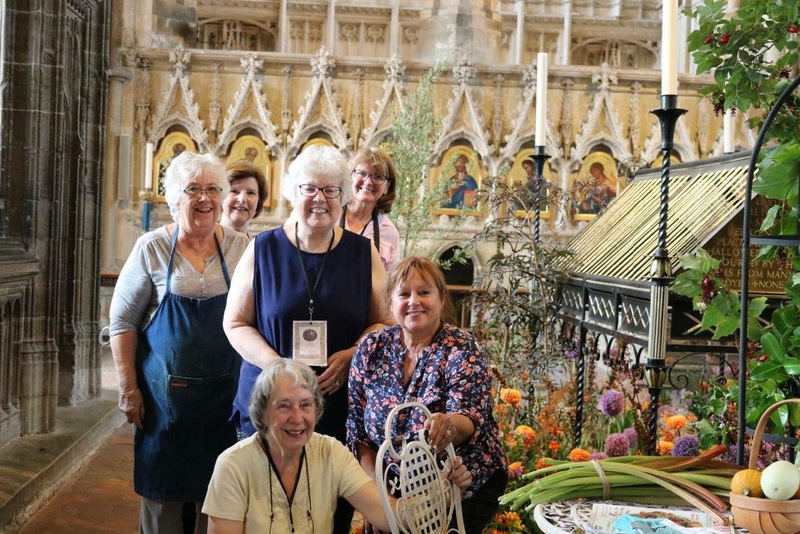 Winchester Cathedral Flower Festival is back – with Illumination: A Festival of Flowers running from today (5th September) to Saturday 9th September – with around 350 volunteers just on one exhibit alone (Scribe) all working hard to make the building look extra special. 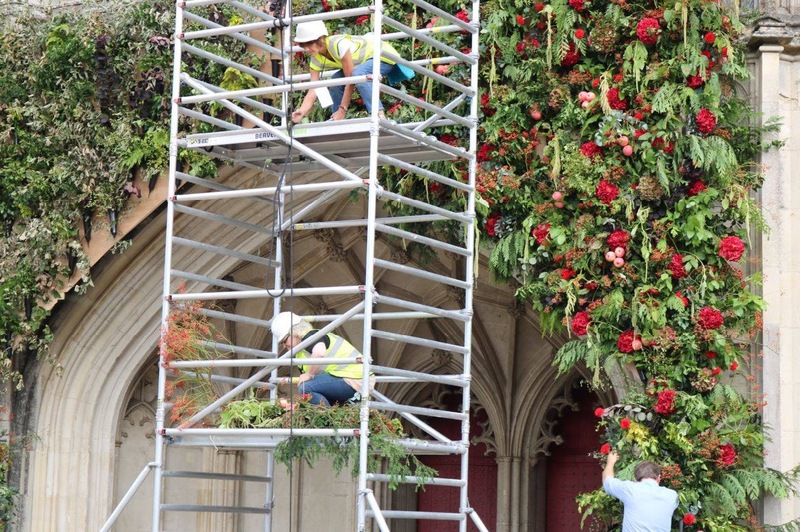 This year’s eagerly anticipated festival follows two spectacular and highly regarded flower festivals in 2013 and 2015, and the Cathedral will once again be transformed by striking and fragrant floral displays. Returning to the festival is Creative Director Angela Turner (pictured below alongside Alan Titchmarsh and the Dean Catherine Ogle), having designed the Cathedral’s Flower Festival in 2013. 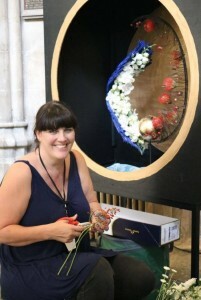 Angela is a regular exhibitor at RHS Chelsea Flower Show and has won many of their highly coveted RHS gold medals. 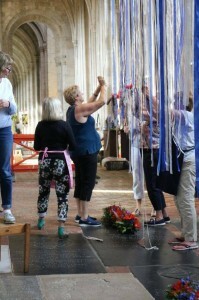 Angela’s flair and understanding of the Cathedral will result in a spectacular event. Most of the arrangers themselves will come from across the region of Wessex and Jersey NAFAS (National Association of Flower Arranging Societies). 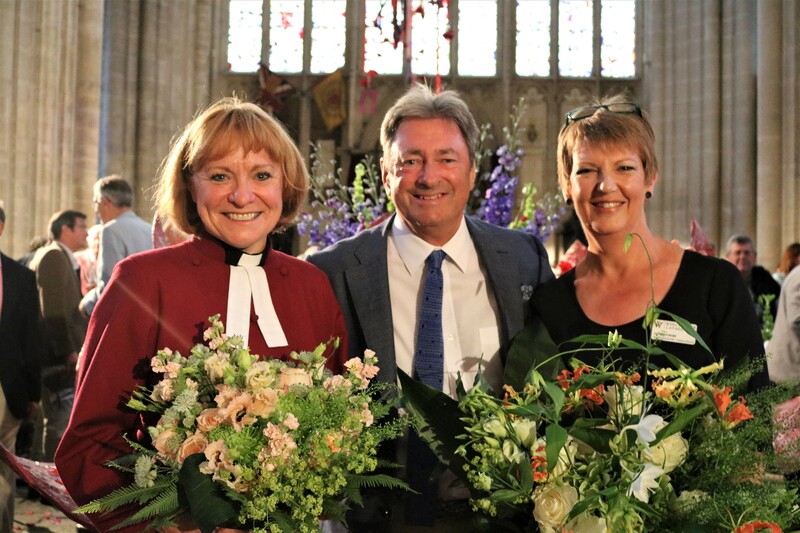 Canon Annabelle Boyes is the Cathedral’s Receiver General: “We are delighted to welcome Angela back to Winchester Cathedral for this year’s Flower Festival. I have no doubt that Angela’s skill and creativity will result in a truly unique and spectacular event. 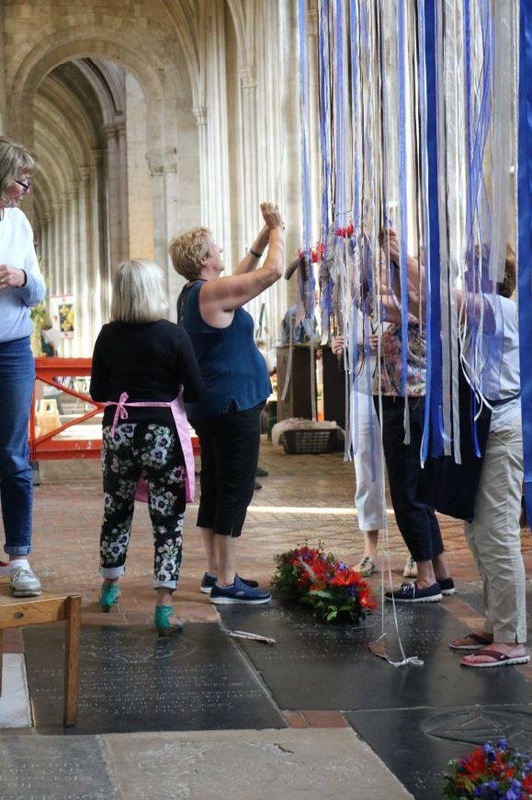 Ticket prices range from £7 – £12 with a variety of concessions available (including groups of 15+) and can be booked via Winchester Cathedral Box Office on 01962 857 275 or by clicking this link here – a full list of prices can be found on the website.